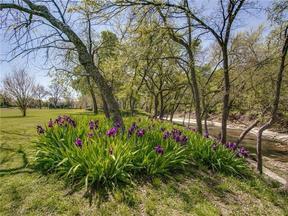 This magnificent lot is just shy of 4 and one half acres that backs up to a beautiful creek with an abundance of trees and a walking path. It has a pond that and commercial irrigation system that makes watering inexpensive. One of THE best lots in our entire area!Owned by Starside Custom Builders, we look forward to building your dream home on this property and are selling it exclusively for this purpose.